After bringing her makeup brand, Flower Beauty, to Ulta Beauty stores in 2018, Drew Barrymore is taking her floral style even further. 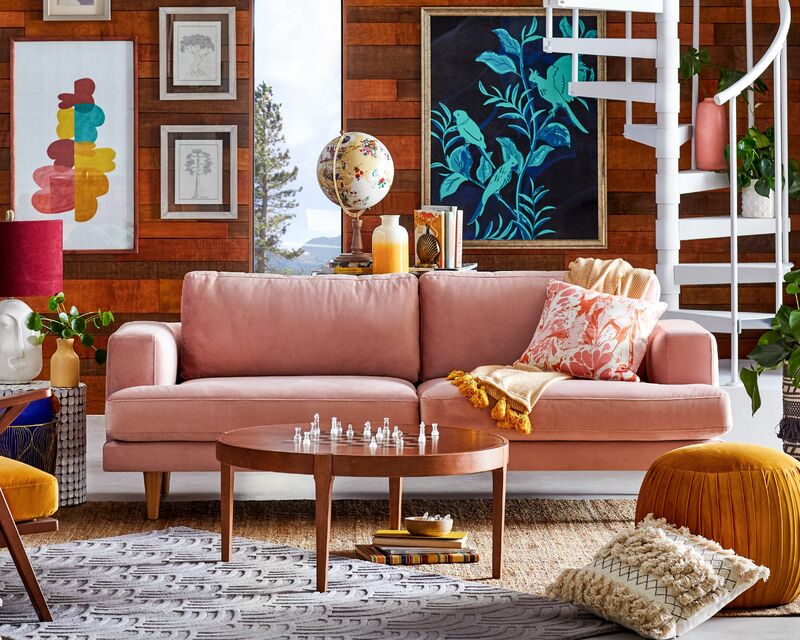 On March 28th, she launched Flower Home, a collection of furniture pieces, home decor, and more that takes her eclectic style and brings it into your home via online retailers Walmart.com, Jet.com, and Hayneedle.com. Flower Homes takes a mix of patterns, colors, and decor styles and mixes them together to create something entirely unique. Mid-century-style legs prop up sofas and lounges while the pet included in the collection has a more solid and heavy style (the cat bed even brings in wicker elements!). Featuring four signature patterns, the collection is heavy on plant imagery, of course, but outside of a few obviously floral vintage aesthetics, the patterns use plant-life to create something more abstract. Chains of palm leaves trail up and down a bedspread. Clusters of psychedelic succulents coat a loveseat. There are plants everywhere you look (and now watering to do!). Of course, the collection couldn’t leave behind some of our favorite aesthetics. There is plenty of blush, plush, and velvet, too. Drew Barrymore is embracing velvet tufted headboards and our millennial pink obsession in this collage of style and color. Whether you’re looking for more beachy vibes, a cozy boho aesthetic, or a highly textured floral look, Flower Home has got you covered on everything from bedspreads to pet bowls.